This is a model of a typical gang car as was and is in some cases still used on many North American railroads. 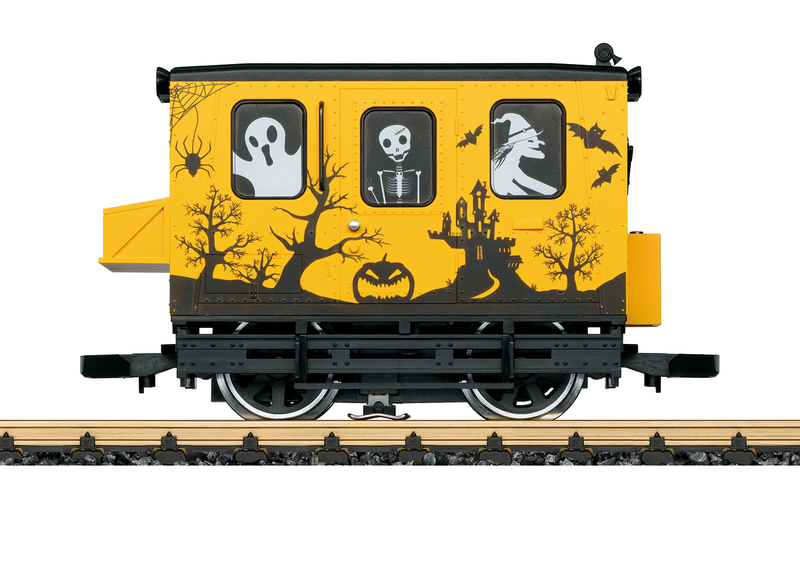 It has finely detailed construction in a yellow paint scheme. 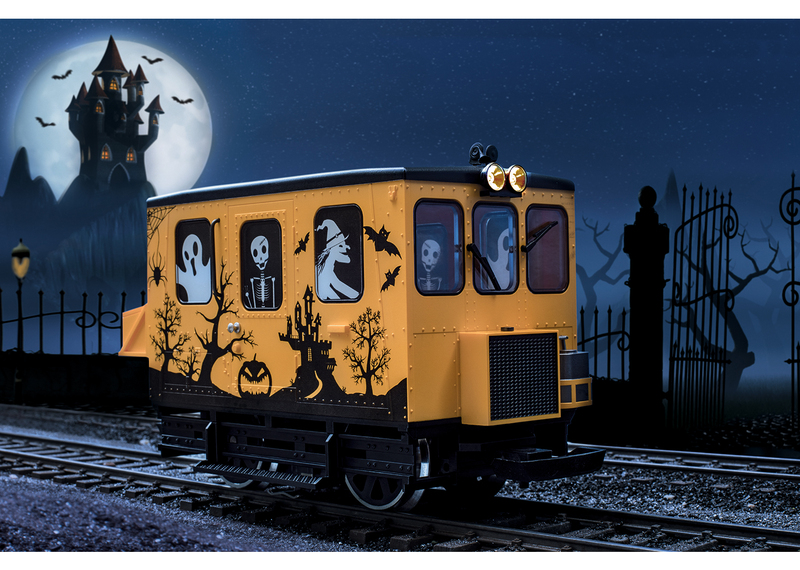 This gang car is imprinted on both sides with typical Halloween themes. Both wheel sets are driven from a powerful motor with ball bearings. The white headlights / red marker lights change over with the direction of travel. The gang car has an interface connection for installation of a digital decoder. 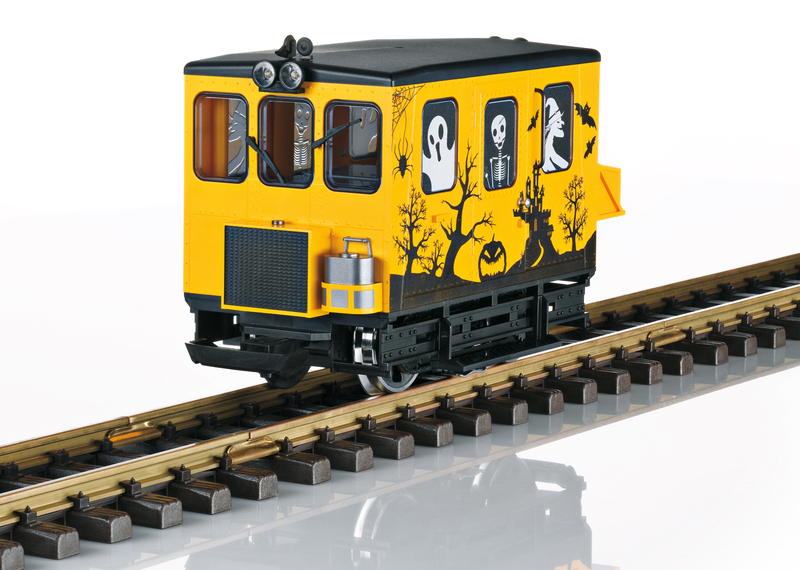 A special design mfx/DCC decoder in available for this model under item number E275227. The regular LGB couplers can be replaced by the link-and-pin couplers included with the model. These couplers are based on an American prototype. Length over the couplers 22 cm / 8-5/8".